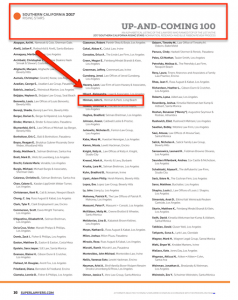 Hinman named "Top 100" by Southern California Super Lawyers | Hinman and Peck, P.C. John Hinman, founding partner of Hinman and Peck, P.C., has been named as a “Top 100” Rising Stars by Southern California Super Lawyers Magazine. Only 2.5% of attorneys in Southern California are named to the prestigious Rising Stars list each year. The Top 100 up-and-coming list represents the top rated attorneys within that list. Super Lawyers selects attorneys who exhibit excellence in the practice of law in California using a patented blue-ribbon selection process. Hinman and Peck, P.C. is a personal injury law firm headquartered in Los Angeles County in Long Beach, California (4510 E Pacific Coast Highway, Suite 400) with an office in Orange County in Irvine, California (9210 Irvine Center Drive) . The practice handles personal injury cases for those hurt or injured in auto accidents and car wrecks serving residents in counties across Southern California including Los Angeles, Orange, San Bernardino, Ventura and San Diego. The firm was founded upon the principle that individuals who have been injured as a result of the negligence or intentional actions of others are entitled to the same quality of representation enjoyed by insurance companies and corporations, regardless of their ability to pay for services in advance. 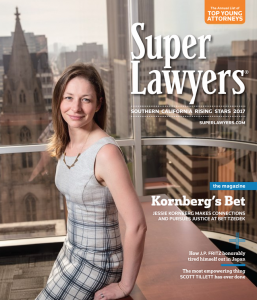 Attorneys at the firm have been recognized by their peers as Southern California Super Lawyers Rising Stars and their work has been featured in the Associated Press, The Advocate and more.